Patricia Teal Literary Agent was a book agent at the Patricia Teal Literary Agency. She is no longer taking submissions. 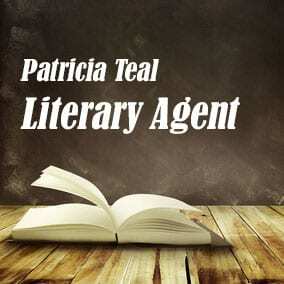 Publishing Agent Patricia Teal was an agent with the Patricia Teal Literary Agency. Book Agent Patricia Teal started her career in publishing in 1978. In the past three decades, she sold hundreds of novels. Patricia Teal focused mainly on women’s fiction, but represented some nonfiction. One of her clients published 179 Romances. Another had a two-hour CBS Movie of the Week as a result of her published Romance. Patricia Teal Literary Agent was on our list of Publishing Agents California (book agents in California), Publishing Agents USA (book agents in the United States), Fiction Publishing Agents (book agents who represent fiction authors), and Nonfiction Publishing Agents (book agents who represent nonfiction, not just novels). The profile about Patricia Teal Literary Agent that you see here contains just some of the information you’ll find in our free Book Agents Directory, with listings for all publishing agents. 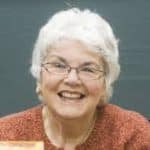 Scroll below now to learn more about Literary Agent Patricia Teal and get free instant access to our Book Agents Directory. Scroll below now to view representative titles and a complete profile for Patricia Teal FREE in our Book Agents Directory. Scroll below now to view the AAR status and a complete profile for Patricia Teal FREE in our Book Agents Directory. Scroll below now to view the email and postal address for Patricia Teal FREE in our Book Agents Directory. Want more information about Patricia Teal? Join thousands of other subscribers today by entering your first name and email address. You’ll get free access to the Directory of Book Agents with detailed profiles for all book agents, including Patricia Teal.